True synthpop from Sweden! Follow us on Facebook for updates and info! http://www.facebook.com/vogonpoetrymusic Don't Panic is available now both as CD and digital download! 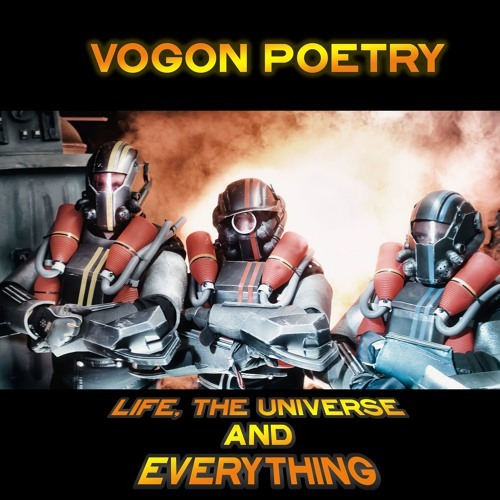 http://vogonpoetrymusic.bandcamp.com/ With catchy melodies combined with dark gloomy lyrics Vogon Poetry is an invigorating touch on the Swedish music scene and succeeds to blend stories about everyday events with extraordinary travels in space and time and still get away with it. “Don’t Panic” consists of tracks which spans a rather wide spectre with dancefloor favourites like “The Diceman” and “A fine day” to the more sombre version of the band found in “Land of forever” and “In darkness lost again”. Don’t Panic is an album in which you always acknowledge the touch of Vogon Poetry and still get enough variation to stay with it until the end and then start the journey over again.